Never underestimate your personal power to change the world. I sit here today wrapped in the wonder and awe of seemingly inconsequential acts and moments that—taken alone—might appear to have no impact in the world. I'm talking about random happenings... acts offered in kindness and received in silence. As I was writing my new book, there were days when I wondered what the heck am I doing? Is it all worth it? Is this self-serving? Why go through the agony and potential embarrassment of putting myself out into the world? I went through a similar process in my early blogging phase when I was so obsessed with readership and comments that I nearly went apoplectic with the highs and lows of others responses. Ultimately, I decided to turn off my stat counters and return to the core of why I was writing. Both with the book and the blog, my mantra for moving forward was often: If this impacts even one person for good, then it is all worth it. Many days I broke it down so small that I was the one person to be impacted... With the blog there were dry periods when writing was slow and other times when it seemed too raw and private to print. Nevertheless, I kept plodding away. In recent months as I've pondered my online presence, I've considered whether or not to combine my "diamonds:" this one ("in the sky") and "diamonds in the soul" where I play for pay. Critics and marketing gurus say we should have a brand or a look that people associate with us. Their wisdom might also pose that having a blog still operating with a "blogspot" address (i.e. not customized) is the kiss of death. Again, I ask: Why am I writing and who is it for? Bottom line - I write to discover what I know, and this forum has been the place where I continue growing in my knowing. 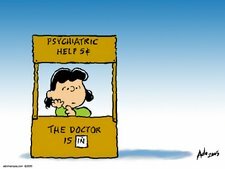 "lucy" gave me back my voice and allowed me space to ponder to my heart's content without the pressure of "being professional" or following a neatly designed brand. 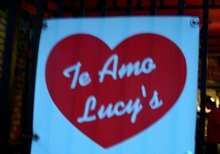 That is one reason why lucy is staying right here. The 2nd reason circles back to my original statement: Never underestimate your power to change the world. This morning, a longtime reader (and sometime commenter) revealed to me that this blog had been a catalyst in moving him toward a life-changing experience. This blog. Right here, folks. My girl, lucy. I am amazed, inspired and grateful for that revelation. It helped me remember that no act (or blog) is too small (or uncool) to manifest goodness. My goal continues to be toward my own personal growth and discovery... and if it happens to catch someone else in the process, Wow!... that's something to celebrate! I am abundantly grateful he shared. I am wildly delighted to be here. I am enchanted with this Universe that brings together random people and shifts small acts of authenticity toward magnificent goodness. Today: How will you be the change you wish to see in the world? Perhaps one small act at a time? What if you believed that everything is connected and nothing is wasted? I do. 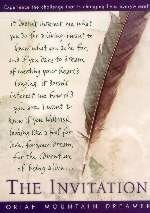 As I Lay Pondering: daily invitations to live a transformed life by Kayce S. Hughlett. Available here. 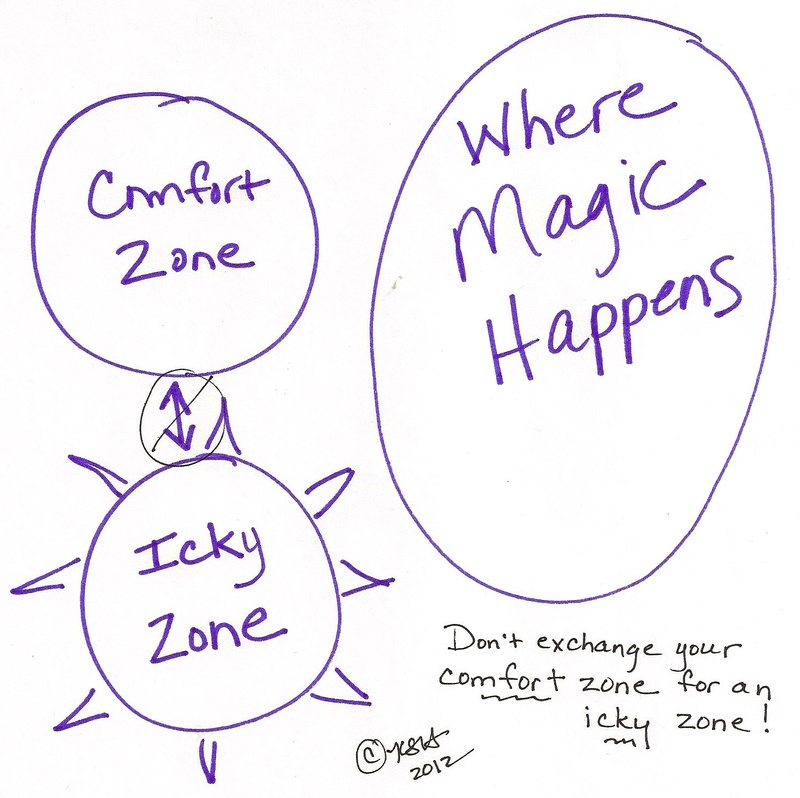 Don’t exchange your comfort zone for an icky zone and confuse that with moving toward magic. Magic NEVER feels icky! Exhilarating? Yes. Scary? Probably. But never icky. My pondering juices started flowing yesterday morning when I read two articles on yoga and how most people shouldn’t even be doing it. Many folks have jumped into yoga as the latest health fad without relying on the wisdom of listening to their bodies... A repeating result is that they end up injured and upset rather than invigorated and enlightened. My pondering continued as I had a discussion with a very wise friend around a diagram shared on Facebook which suggests one needs to move out of the comfort zone to find magic. 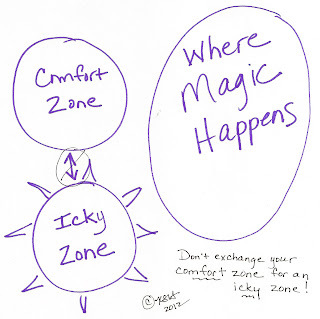 While I heartily agree with this sentiment, I decided to create a slightly revised version (see diagram) and shall repeat: Don’t exchange your comfort zone for an icky zone and confuse that with moving toward magic. Magic doesn’t feel icky. Like in yoga, if a pose feels bad or harmful (icky), back off! We are a culture of strivers. This means we put strenuous efforts toward our goals. We struggle vigorously in opposition and resistance. How magical does that sound or feel in your body? It resonates downright icky to me. Magic isn’t about striving nor is it always comfortable getting there. Magic movement is about operating in that sweet spot between icky and complacently comfortable (“Comfortably Numb," anyone?) In this discussion, comfortable speaks of familiarity... but is familiar always comfortable? It’s reasonably predictable, but is it satisfying and fulfilling? So here’s a super simple example from my childhood of moving out of the comfort zone. When I was a kid, I only ate what I “liked” ... that is I ate what I knew I liked, because I was afraid of eating something that might taste yucky (a close cousin to icky). It seems ridiculous now, but it was a big deal as a child. My veggie comfort zone was potatoes, corn and an occasional carrot. No greens. No salad. Lots of starch. This went on for years until one evening I went to a fancy restaurant with friends and the dinner came with salad. Yikes! What was my 12-year-old-self to do? At home I could have refused the plate of greens, but here I was in public with generous hosts and an inner voice that encouraged me to not be rude. Small as it may sound now, it was a pivotal point in my risk-taking progress. My comfort zone shifted slightly that night. As we sat high above Oklahoma City in the upscale restaurant that slowly revolved as we dined, I decided it was less uncomfortable to eat the salad than to stay in my existent comfort zone and be embarrassed by my salad aversion. A nice surprise happened that twilight evening as I risked moving out of my comfort zone. I discovered I love salad—really love it—and this morning I sit here sipping my green smoothie while I play with these words ☺. Magic often comes by taking the smallest of steps out of the comfort zone—one toe in front of the other. (Like trying salad.) It’s not about replacing comfort with icky. Even though the greens might have tasted yucky, I was willing to take the risk, and my body didn’t feel icky doing it. (Nervous? Yes. A little scared? Probably. But not icky.) Moving toward magic comes from the place inside where you know the risk is greater to stay where you are than to move out of your current zone. It’s the tiny step where moving toward your dream feels better than staying in the shell. Movement is the magic. 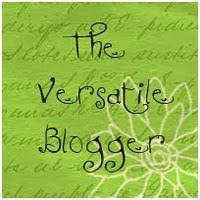 This morning I’ve been pondering how much I miss interacting with the blogging community on a regular basis. Alongside this musing, come reflections on the level of inspiration its writers and readers have provided me over the years. I’ve visited the blogosphere on a less regular basis in past months—the catalyst being my blog reader disintegrating alongside other activities and life events. In deep and indelible ways, however, blogging stays with me through the words and thoughts I’ve breathed in over the years. It never really leaves, even when I feign absence. I have deeply missed the daily, evocative conversation with people around the world. It’s very different (and less-fulfilling) than quick Facebook status updates or super-fast Tweets (which I'm still resisting). With the beginning of 2012, I find myself in a space that feels very different from years past. My pathway seems less clear or defined, and my soul is generously content with the lack of definition. At the launch of each new year, I choose a word as a gentle guide and focus for the coming months. The word that chose me this year is BE. 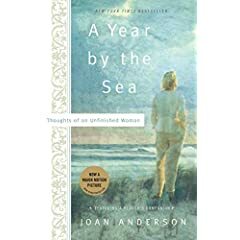 While BE is a word that’s shown up in numerous previous ways, it was nonetheless the one that kept bubbling to the top of my awareness as year’s end approached. 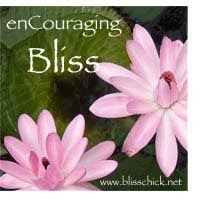 It’s a provocative word and one that’s easily accessorized with other descriptors: Be yourself; Be present; Be still... It is proving to be an interesting challenge and something to be noted on a moment-by-moment basis. Lately I have been somewhat obsessed with the fruition of a long-time dream... the publication of my new book, As I Lay Pondering. I am wordless at how this experience is impacting me, and realize the extreme need to simply BE in it. There are so many things to be done, learned and experienced in this unveiling. It is not only revealing my words and thoughts to the world, but also offering a whole new way for me to BE.. and even that statement leaves me wordless. ...As I Lay Pondering: daily invitations to live a transformed life will be released... SOON! My book making has cut into my writing time. Go figure! But the date is swiftly approaching when you, too, will be able to hold in your hands the magic and mystery of such delightful treasures as the tale of Pedrita, the flying pig. Order your copy today!!! Link accepts either Paypal or your preferred credit card.